National ArchivesThe exterior of the Greenbrier Resort, home of the Greenbrier bunker. 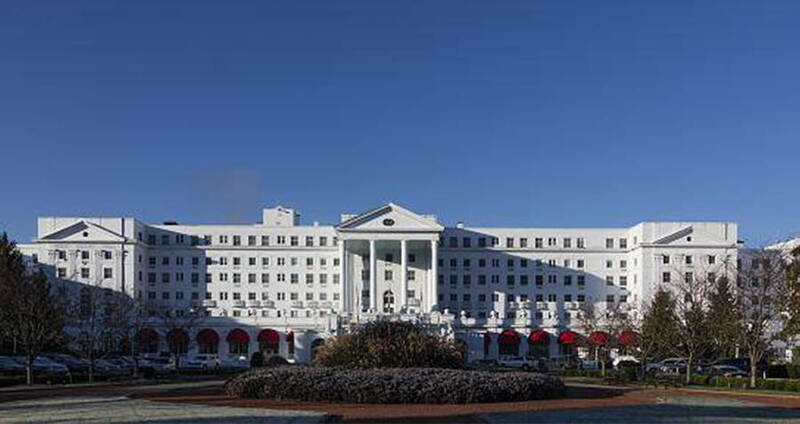 Located about five hours away from the nation’s capital in Sulphur Springs, West Virginia, Greenbrier advertises itself as “America’s resort since 1778.” Its website invites prospective guests to “experience Life as Few Know It.” These few include 26 US presidents and several European royals. The Duke and Duchess of Windsor stayed in the hotel’s luxurious presidential suite, but not even they were privy to its most exclusive secret. Code-named “Project Greek Island,” in the late 1950s the US government began construction of a bunker where the members of Congress could be relocated in the event of a nuclear war. This seemed a reasonable idea in the new Atomic Age, with its not-unjustified fears that nuclear weapons could wipe out an entire city of the blink of an eye: it was only logical to try and ensure those responsible for running the government had somewhere they could carry on legislating safely. 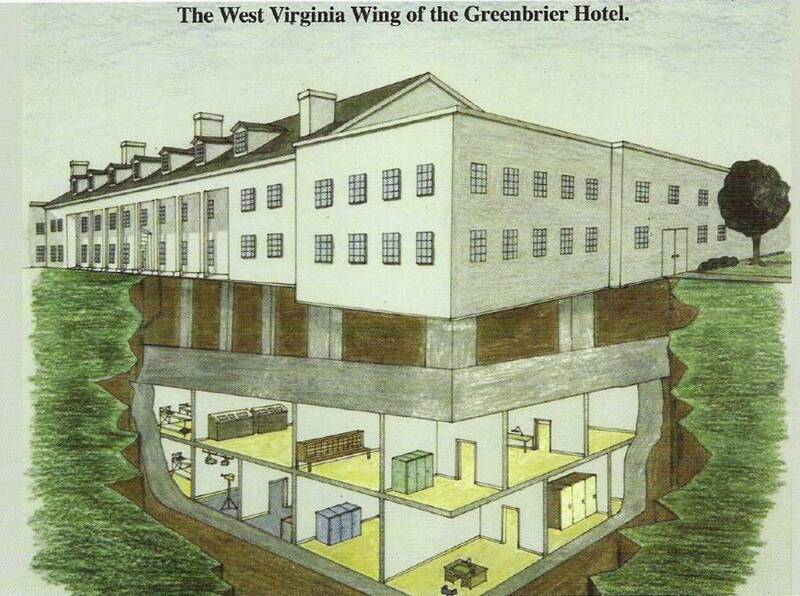 Flickr CommonsIllustration of the bunker’s “West Virginia Wing” hidden beneath the hotel. Only a small handful of people knew of the Greenbrier bunker’s existence: most members of Congress would never have been told about it until it became necessary for them to relocate there. Since the nuclear apocalypse for which it was built thankfully never occurred, most congressmen and -women served their terms without learning of its existence. It’s likely the sitting presidents and vice-presidents all knew about its existence, given President Ford and VP Humphries visited the hotel frequently enough to draw attention. Development began in 1958 and continued for the next two-and-a-half years: Superior Supply Co. had been hired to line an immense crater that had been hollowed out by the hotel with concrete, but they knew absolutely nothing else about the building they were helping to construct. Flickr CommonsThe bunker was constructed in the late 1950s, although even the men working on it had no idea what it was. 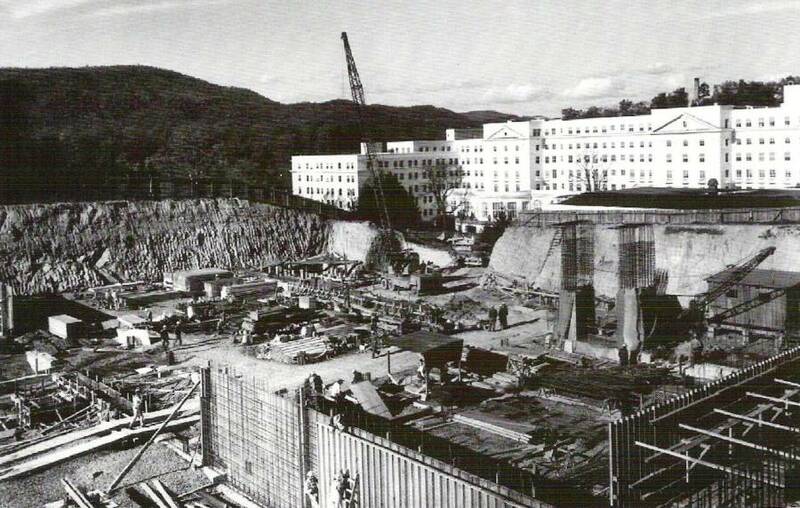 The Greenbrier bunker was protected by walls lined with two feet of concrete and an extra barrier of steel. The roof was twenty feet below the ground, but the bunker was not just an underground pit: it had a highly sophisticated ventilation system that was designed not only to circulate air but filter out radiation. 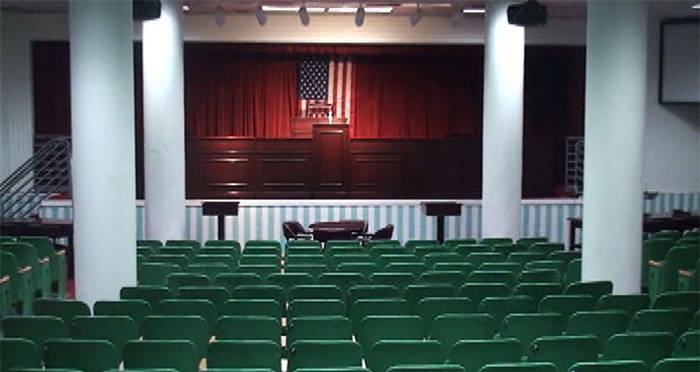 The complex also included a room specially designed for holding sessions of Congress, complete with individual seats for each member that all had microphones attached. 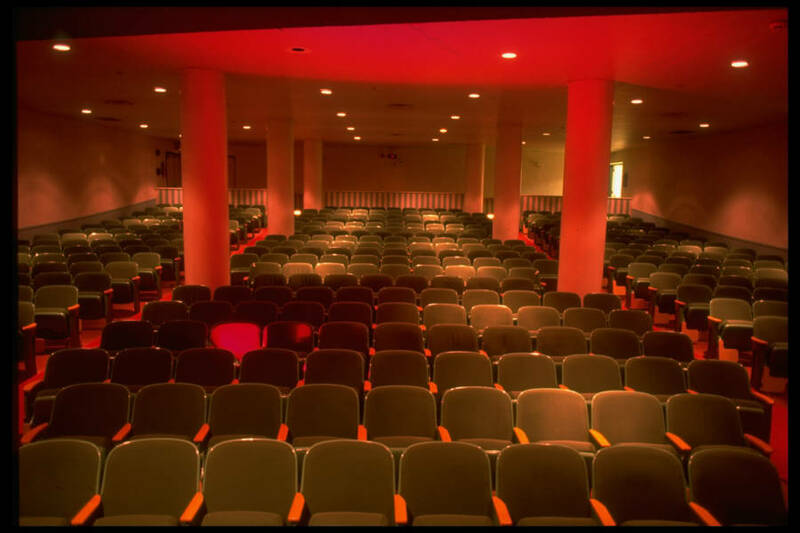 The Senate had it’s own chamber, as did the House, and there was even enormous chamber built for joint meetings. The massive bunker also housed a TV studio “from which the legislators would be able to address what was left of the nation.” Members would have slept in metal bunkbeds that resembled an army barracks: each bed was assigned a specific congressman, although they were never actually occupied. William F. Campbell/The LIFE Images Collection/Getty ImagesA bunker in the top secret hideaway code-named Caspar, relocation center for members of Congress beneath Greenbrier resort. The government installed a set of employees at the hotel to ensure food and medical supplies were kept up-to-date for the bunker and that it was constantly in a state of readiness to be occupied. These employees posed as “TV technicians:” the fact that they did not do any actual work for the hotel did draw some suspicions. The bunker remained effectively operational and top-secret for almost thirty years: until this Washington Post story exposed it. Journalist Ted Gup, who broke the story, faced severe backlash for revealing a secret that had been closely guarded for decades. People who consider Gup’s expose a security threat argue that the bunker could still potentially have been in use if not for the story in The Post. Gup defends his decision claiming that by 1992 the Greenbrier bunker was already outdated and could no longer serve its purpose in the face of modern technology. Whether the government has simply moved its bomb shelter facility to another top-secret location has yet to be determined. Next, check out the Fuhrerbunker, where Adolf Hitler spent his last days. Then, read about Club 33, the hidden club inside Disneyland that’s just for adults.